The First Wave of Experiments has come to an end. We will miss all our experiment partners and we appreciate all the hard work they put into each and every detail of their experimental subjects. However, now is the time for the Second Wave of Experiments to present their venture and on March 28th. 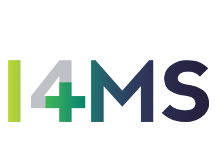 and 29th, the Second Wave Kick-off meeting will take place as a virtual meeting for all the Experiment Partners, DIHs, Competence Centers and Work Package leaders. FLOWCALOP – Flowforming – process calibration via cloud optimization. CAPSULE – Cloudification of image analysis for human measure collection for personalized safety protection clothing engineering and production. SHION – Smart thermoplastic injection. 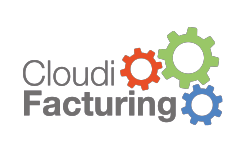 CLOUDECHO – Cloudified analysis of multi-sensorial data for optimized manufacturing. Optimization of the production process of metal structures using OSICE. TWIN_IN_FOG – Data twin based and fog computing driven proactive control and maintenance in laser-based manufacturing. We will continue posting more about the outcomes and the new experiments descriptions. Nevertheless, if you want to have the first-hand information, you can subscribe to our newsletter!